Both UPS and inverters are utilized to deliver electric power, which is also why they are commonly confused with each other. But a UPS is very different from an inverter. The former is a far more sophisticated device and it also has a larger range of functions. In fact, UPS Systems have inverters as part of their internal components. Let’s take a closer look at what these two systems are and how they function. An inverter is essentially a device which receives power from a DC (direct current) source such as the solar module or battery. It converts this power into an AC (alternating current) supply that is then used for various equipment or Data Centres. While a UPS System also works on the power conversion concept, it has functions such as energy storage and instant response. You can compare these systems to compressors and air conditioners. Just as compressors are unable to deliver cooling by themselves, standalone inverters are unable to perform the functions that UPS’ do. As mentioned earlier, the primary function of an inverter is to convert electric power from Direct Current to Alternating Current. It’s important to understand that inverters can only convert power. They are unable to either generate or store any kind of electricity by themselves. This is exactly why if you disconnect inverters from their Direct Current source, the electric supply gets interrupted. Just like any electrical equipment, an inverter has a certain rated power it can handle. In a solar PV system, for example, residential installations utilize inverter systems below 10 kW. On the other hand, a medium-sized commercial installation is more likely to exceed a 100 kW level. Aside from having a specific power rating, an inverter is also designed to function within certain AC & DC voltages. VFDs (Variable Frequency Drives) are often referred to as “inverters” because most models are able to produce 3-Phase power from a Direct Current input. However, calling a VFD an inverter can lead to confusion because the primary purpose of the former is to control motor speed. It does this by adjusting the voltage input. Just like UPS units, Variable Frequency Drives use inverters as their primary components. However, there are also additional functions and components that are found in regular standalone inverters. Energy Storage – This allows the system to continue delivering power even when the main Electric Supply has been interrupted. Its Energy Storage function is typically accomplished using a charge controller and batteries. Instant Response – This is important so that any equipment that is connected to the system can continue to operate even when the power supply gets interrupted. 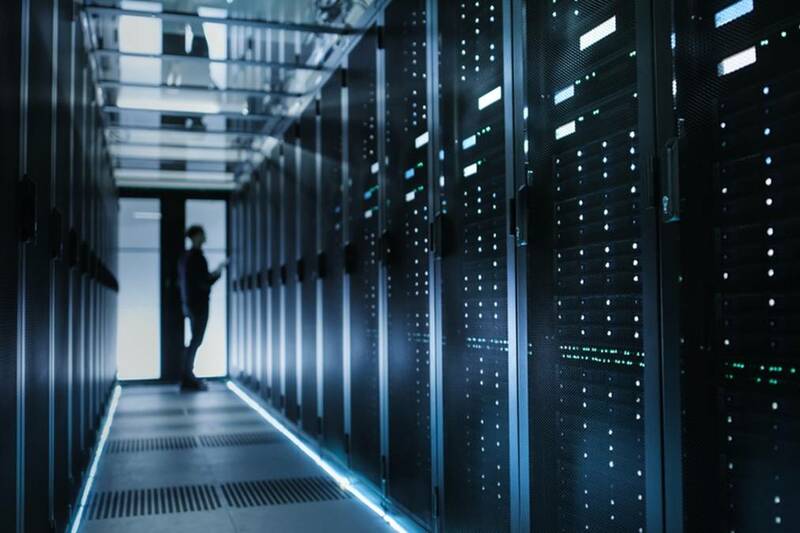 An Uninterruptible Power Supply unit could be used with key data centres and large commercial or industrial equipment to prevent data loss or a break in operation during electric service disturbances/interruptions. An inverter can be used as a backup power supply when it is combined with a suitable energy storage system. However, conventional inverters do not have the capability to seamlessly transition in the manner that a UPS would. While an inverter is able to respond within less than a second, that doesn’t suffice when it comes to data loss in Information Technology equipment. In comparison, a UPS is much faster and responds within milliseconds. This is why critical equipment or computing systems need a UPS and not just an inverter system.